The Lunar New Year is just around the corner and I've been thinking about what to make for our New Year's dinner. This will not be on the menu, but may be a condiment on the side. I got a bug in me to make some of my own la jiao jiang, or hot chili sauce. I've never done it before. When my mom and I go out for lunch, we always taste the restaurant's own in house chili sauce. I use it as one of my gauges for measuring the quality of the restaurant. There are some good ones out there and when we've really liked the chili sauce, we've convinced them to sell us a little jar of it. Here's my first shot at making my own. I don't know why I decided to make so much. It doesn't seem too smart given I don't have a tested recipe for it. 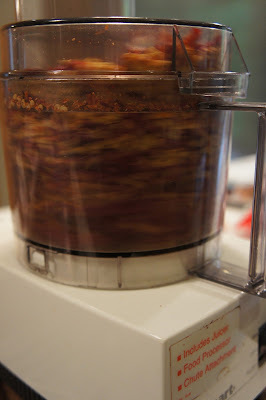 But, I figure the ingredients are cheap and if it turns out well, I'll wish I had made a bunch. Let me prepare the setting first... Turn on all of your fans in your hood vent. Tuck the children and pets safely away in another room. Who knows what might happen. Then assemble the ingredients. Stir well to incorporate. Cover and simmer gently for 10 minutes. It was a molten pot of hot lava. I was afraid to taste it, and when I finally did, my fears were true. I love hot sauce. I mean, I love, love, spicy food. The little bit I put on my tongue was a fiery, albeit tasty, blast. I called my mom to tell her of the fire pit I had just created and she assured me it will become milder once it was cooled and I was eating it with something. We shall see. 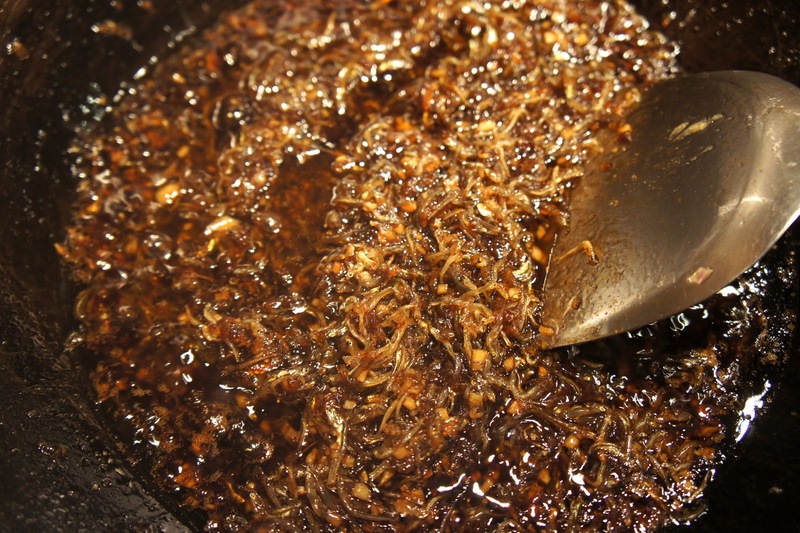 It will be at the very least good for cooking spicy dishes. The flavor is quite good and I'll have to see if it's edible once it's cooled down. I think I could have used more oil, as most chili sauces do have more oil. Other than that, I look forward to burning a hole in my stomach when I go to enjoy my home made la jiao jiang. On another note, a strange occurrence in the hen house today. We got five eggs from our four chickens. After much investigation, egg inspection and video footage viewing, we came to the conclusion it was Allie who had laid two eggs today. Strangely, all five eggs looked different. Normally, we can tell who laid what egg just by the egg itself. 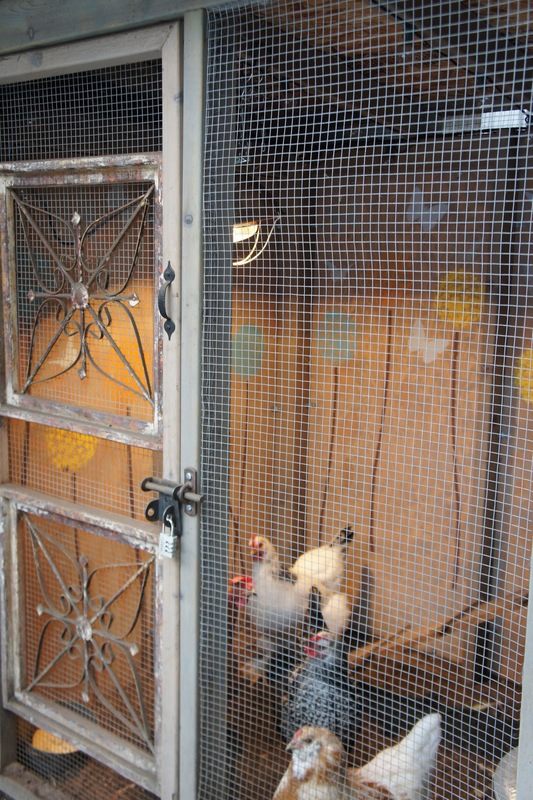 Oh, also a little renovation was done over the weekend to the girls' coop. 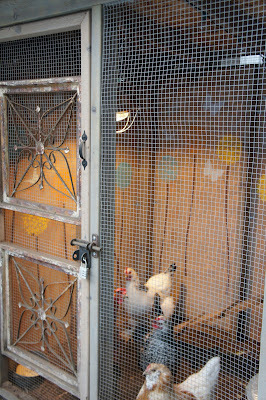 Because the coop is so close to our house, the dirt the chickens kick up while scratching and digging, has been building up on the side of the house. So, on Sunday, I put in solid walls on the side of the coop that were up against the house and took out the wire mesh that was there before. thank you thank you thank you mary! branner finally gave me the chili and i've been using it constantly. just had some gyoza and for the sauce i put in the chili, rice vinegar, sugar, soy, shallots, garlic and sesame oil. for tasty.